After his recent stoppage (tune up) victory over Yoann Bloyer, Billy Joe Saunders landed in Marbella last Tuesday to the Macklin’s Gym facility in the Spanish city ahead of his September 19th challenge to WBO middleweight champion Andy Lee, that will take place at Thomond Park, Limerick, Ireland. Saunders and Lee’s fight will be the first time that two men of traveller origins have contested a version of a world title and the Hatfield based former Olympian is determined to be in the best shape possible. Already coach Mark Tibbs, son of Saunders’ legendary trainer Jimmy, has posted training photos on social media, alongside Saunder’s own updates showing the camp is already going well for the biggest fight of the 25 year old’s career. 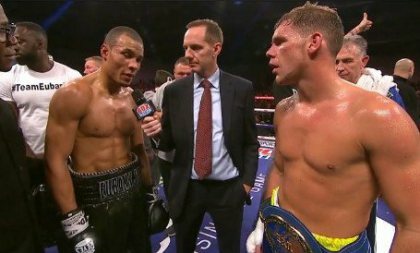 The MGM facility, is fast establishing itself as one of the go-to locations for many British fighters seeking to benefit from training in the coastal region, and was where Saunders got in shape for last November’s win over bitter middleweight rival Chris Eubank Jr.